These trees were uprooted during cyclonic storm Ockhi last December. CHENNAI: In a controversial move, the Tamil Nadu forest department has decided to clear and auction over 10,000 fully-grown dead trees lying inside Kanyakumari Wildlife Sanctuary, which is a tiger habitat and one of the most diverse wildlife locations in the country. These trees were uprooted during cyclonic storm Ockhi last December. The justification the forest department is giving to undertake such a ‘complex’ exercise was that these fallen material may activate timber smuggling gangs and with acute staff shortage it was becoming increasingly difficult for the department to safeguard the property. A majority of fallen trees are rosewood and teak that have high market value. It is estimated to generate several crores of rupees of revenue. However, the wildlife activists in the region fear that such a move would delay forest regeneration and disturb ecological balance. 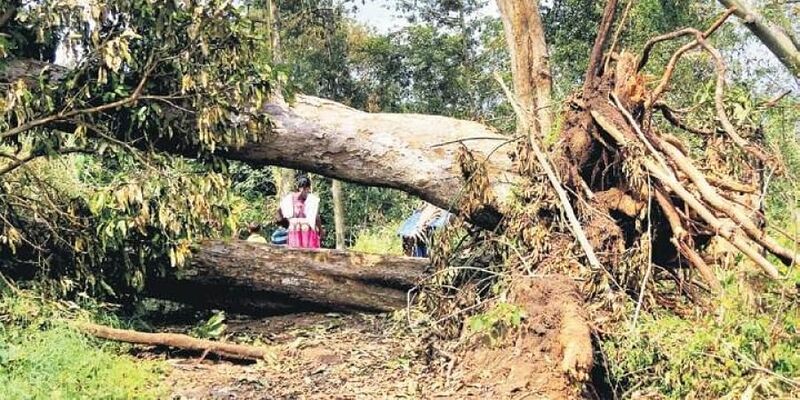 A senior forest official told The Sunday Standard that it was completely legal to auction wind-fallen trees inside a sanctuary with NBWL’s approval. Under Section 29 of Wildlife Protection Act, 1972, the Chief Wildlife Warden is authorised to grant such permit, provided the forest produce removed from a sanctuary be used for meeting the personal bona fide needs of people living in and around the sanctuary and shall not be used for commercial purposes. “The NBWL clearance was needed as there is a Supreme Court order which states that no permission under Section 29 be granted without getting the approval of the NBWL,” the official said.